LOW MILES - 17,753! Ingot Silver Metallic exterior and Medium Earth Gray interior. Bluetooth, iPod/MP3 Input, Smart Device Integration, CD Player, Flex Fuel, Hitch, MAX TRAILER TOW PACKAGE, 4x4, Aluminum Wheels. CLICK NOW! MAX TRAILER TOW PACKAGE max towing capability up to 12,200 lbs, and upgraded rear bumper, Note: Ordering the Max Trailer Tow Package does not include Trailer Tow Mirrors, Trailer Tow Mirrors are a standalone option and must be ordered separately, (Option Code: 54M or 54Y/59S), Auxiliary Transmission Oil Cooler, Class IV Trailer Hitch Receiver, towing capability up to 5,000 lbs, smart trailer tow connector and 4-pin/7-pin wiring harness, Integrated Trailer Brake Controller, Pro Trailer Backup Assist, tailgate LED and 4.2 LCD productivity screen in instrument cluster, Electronic Locking w/3.55 Axle Ratio, Upgraded Front Stabilizer Bar. 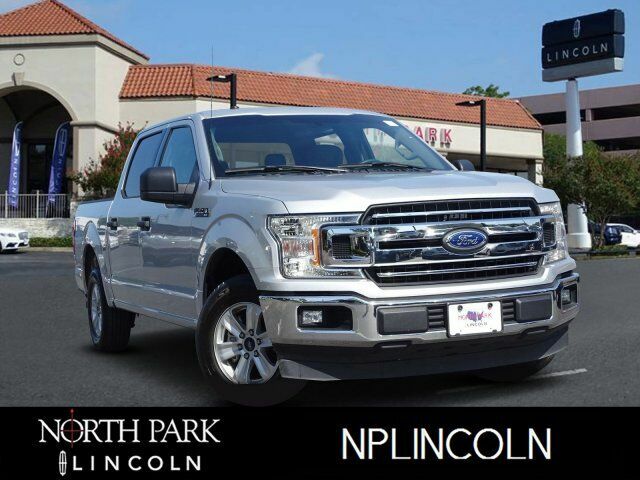 2016 Ford F-150 with Ingot Silver Metallic exterior and Medium Earth Gray interior features a V6 Cylinder Engine with 282 HP at 6250 RPM*. CARFAX 1-Owner Edmunds.com`s review says At the end of the day, the 2016 Ford F-150 is simply an all-around strong performer, with a good balance of comfort, utility and performance..